Intelligent Interfaces, the e-governance startup floated by Housing.com co-founder Rahul Yadav, has secured an undisclosed amount in funding from cricketer Yuvraj Singh's YouWeCan Ventures. "Proud to back Rahul Yadav and Intelligent Interfaces (ii) in helping the Government govern 100x better with the help of technology. Get ready for the (r)evolution!," Singh posted on his Facebook page. Earlier this month, Techcircle.in had reported that Flipkart co-founders Sachin Bansal and Binny Bansal had invested in Intelligent Interfaces. Intelligent Interfaces is expected to help various government departments use internet and technology tools to save costs, besides expediting service delivery. The company is expected to announce its first order from a government entity early next year. Yadav was the startup ecosystem's top news maker this year. Be it Yadav's email spat with Sequoia Capital's managing director Shailendra Singh, his infamous run-in with Housing.com investors or the bizarre decision to gift his entire stake to the company's employees, the 26-year-old never ceased to surprise. Yadav was fired from Housing.com in early July. After his stint at Housing, Yadav was said to be quietly working on his second venture. The Indian government as well as various state governments have taken up several e-governance initiatives. Yadav, through his new venture, aims to provide next-gen interface for central and state government departments in India, and make processes more efficient. He has said he sees huge business scope in the e-governance space, and is quite confident about getting business from government departments. Intelligent Interfaces is YouWeCan's 11th investment. 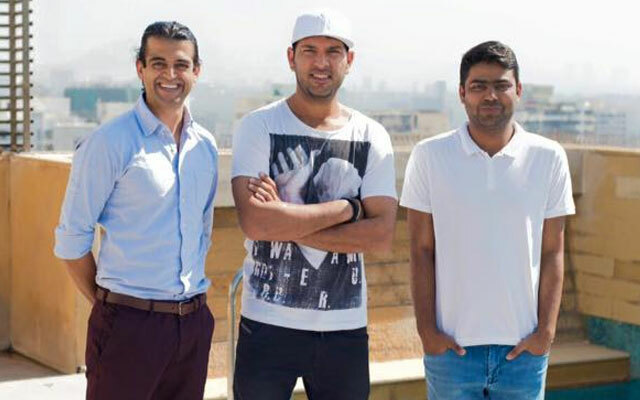 Through his $10 million seed-stage venture capital fund, cricketer Yuvraj Singh is slowly and steadily making his position firm in the Indian startup scene. YouWeCan Ventures, which was launched this year in April, is betting on online marketplaces. The ventures it has backed include Vyomo, Moovo, Healthians, EduKart, JetSetGo, Cartisan, Sports365, SportyBeans, and Carl's Jr. Most recently, YouWeCan backed Mumbai-based brand licensing startup Black White Orange Brands Pvt Ltd.